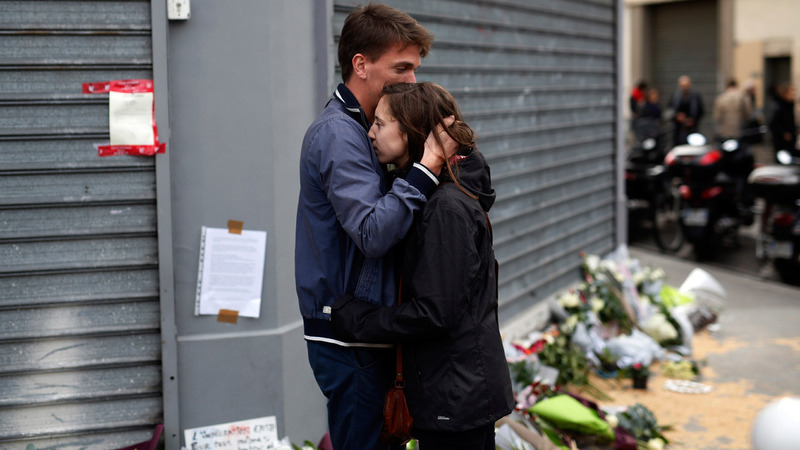 Terror attacks in Paris left more than 120 people dead on Friday, Nov. 13, 2015. PARIS -- A series of attacks targeting young concert-goers, soccer fans and Parisians enjoying a Friday night out at popular nightspots killed at least 120 people in the deadliest violence to strike France since World War II. President Francois Hollande condemned it as terrorism and pledged that France would stand firm against its foes. Southern Californians come together to mourn following the terror attacks in Paris on Friday, Nov. 13,2015. Law enforcement officials in Southern California are tacking precaution following the Paris terror attacks though federal officials said there is not an immediate threat to the U.S.
During an emergency situation or following a natural disaster, the first thing many people think of is loved ones in the affected area. Jenkins said the tactic used - "multiple attackers in coordinated attacks at multiple locations" - echoed recommendations published in the extremist group's online magazine, Dabbiq, over the summer. ABC7's David Ono is heading to Paris to bring you the latest on the deadly terror attack. You can follow David's journey on his Twitter account here.